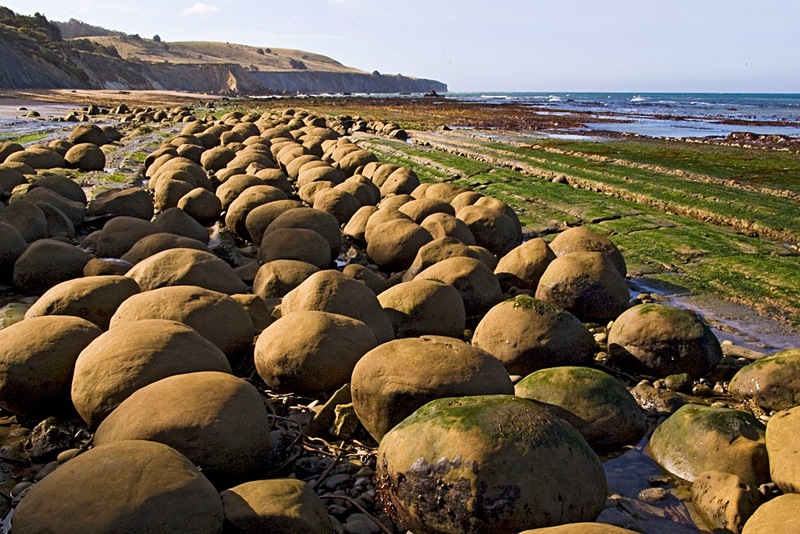 Bowling Ball Beach located along the Mendocino coast of California, USA. 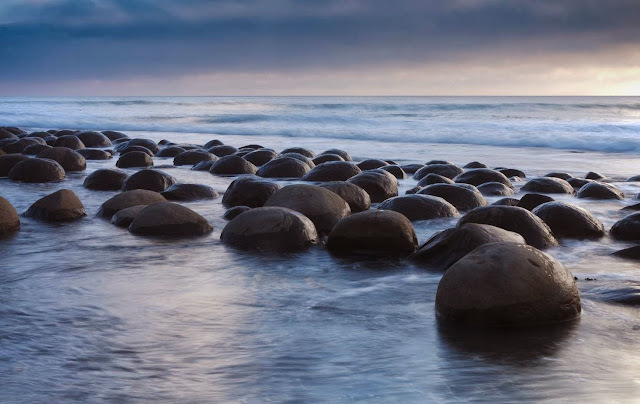 The beach name comes from these hundreds of boulders that look like ‘bowling ball’ seen and reachable during the time of low tide. Thousands of rocks have convened to face the tides like a Terracotta Army of small boulders. They’re all of equal size, all uniform in their spacing. Round boulders, roughly four to five feet in diameter, begin poking out of the water with the shifting of the tides. By the lowest ebb, the sand is covered with neat rows of these strange balls. 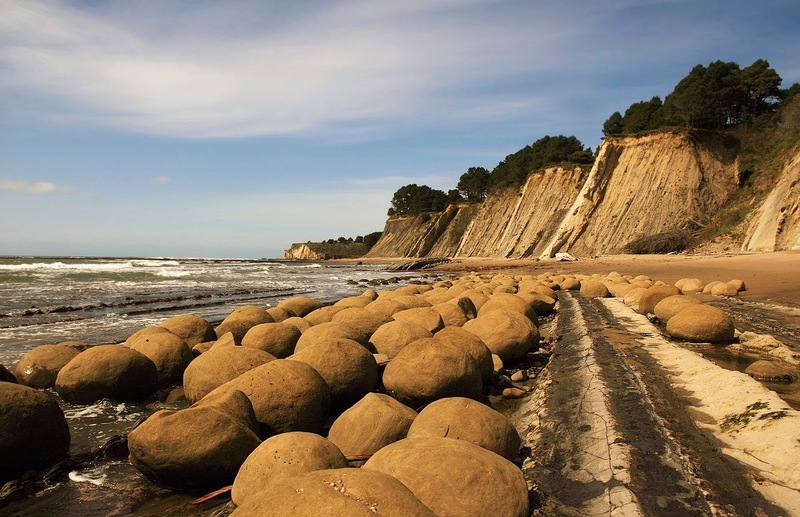 Technically known as concretions, the hard, mineral-based spheres have resisted the endless lashing of the Pacific, while the Cenozoic mudstone that once surrounded them has eroded away to form the cliffs that line the shore. Despite the perfectly reasonable explanation, the boulders add an eerie vibe.